Today is the World Environment Day, with the goal, this year, to warn of food wastage. Each year is wasted on the planet 1,300 million tons of food, according to the FAO, while 1,000 million people go hungry. 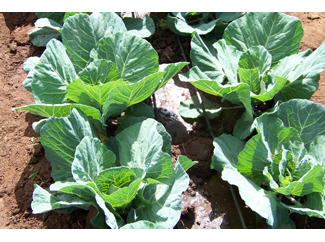 However, medium and long term, one of the strategies to be considered through the promotion of food security programs, supplying the most disadvantaged communities in the training, resources and tools that enable the development of sustainable agriculture and animal husbandry, facing the consequences of climate change. This would ensure greater food supply present and future generations by promoting the progress of the South. 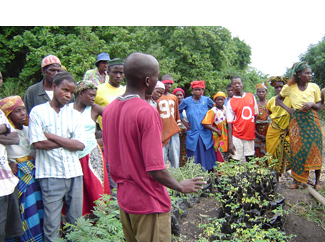 Agriculture and rural development is one of the six areas of action of the Humana cooperation programs in the South. Food security is an essential part of this area, in which groups of farmers play a key role. The Foundation works shoulder to shoulder with these small farmers through training and joint effort to improve productivity, introduce more sustainable techniques and use of surplus production to sell in local markets and thereby earn income for other basic needs. During this week, Humana is involved in various events to mark the World Environment Day, in places like Leganés, Getafe, El Molar, Cedillo del Condado and Santa Cruz de la Zarza, all in Madrid, and Maracena (Granada).